You need the ability to communicate with your congregation effectively – especially cost-effectively. Sunday might be a day of rest for your congregation, but you need to do a lot of work beforehand for them – printing bulletins for services, teaching materials for Sunday school and Bible study, newsletters, and flyers. 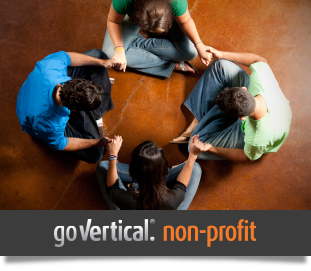 Your volunteers and employees need simple, easy to use technology to help run the non-divine side of the church – paying bills, printing and sending fund raising information, and the documents above. Datamax Arkansas can help your church with office equipment, outsourced network management, and better document management. What can we help you do? Never stress out about printing a church bulletin on time with printing devices that work and rapid service response time if your digital copier needs (non-divine) intervention. Control and track your printing and copying costs with managed print services. Secure your networks and protect your congregations personal information from hackers with managed network services. Save storage costs with document management. 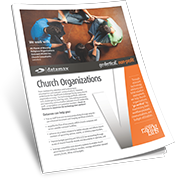 Churches go Vertical® with Datamax. And Datamax Arkansas is with you every step of the way – do you need color? Speed? Better workflow? What kind of document finishing options could save you time – folding? Stapling? We can assess your needs, create a plan, and then implement a plan that will see you spend less time on your worldly tasks and more time focusing on your ministry and mission.